NASA still hasn't heard from the Opportunity rover, but at least we can see it again. 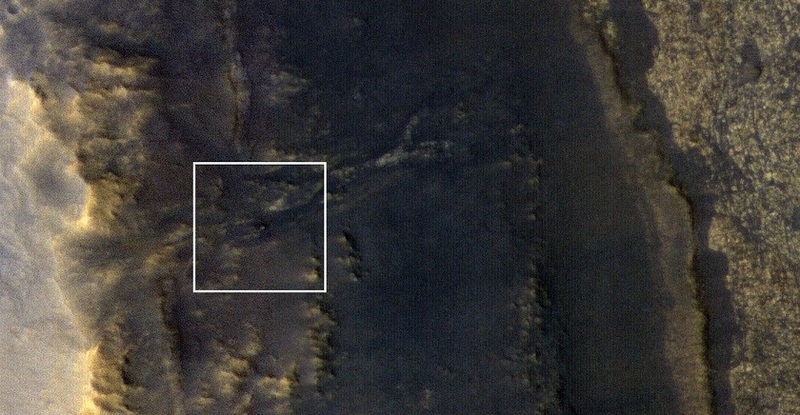 A new image produced by HiRISE, a high-resolution camera aboard NASA's Mars Reconnaissance Orbiter (MRO), shows a small object on the slopes of the Red Planet's Perseverance Valley. That object is Opportunity, which was descending into the Martian valley when a dust storm swept over the region a little more than 100 days ago.